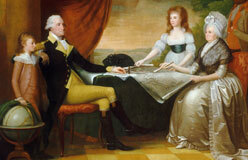 Most people remember Washington as the nation’s first president. He was also an outstanding general. 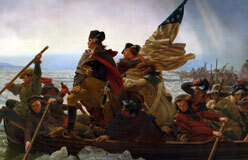 He led the nation to victory in the American Revolution, an eight-year fight for independence from Britain. Americans respected him for his boldness and bravery in combat. 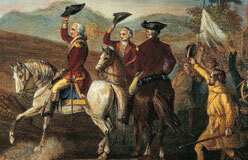 They also respected Washington’s loyalty to his soldiers during very tough times. 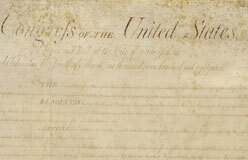 Washington had a strong personal code of right and wrong. He always tried to be honest and true to his word. He also had a great sense of duty to his country. 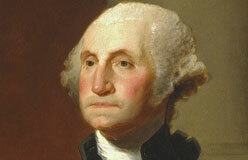 Shy and modest, he never expected to be the nation’s first president, and he never sought the office. Yet, when the nation’s leaders convinced him that his country needed him, he agreed to serve. 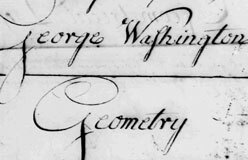 Luckily for us, as you will see, George Washington was the right person for the job.